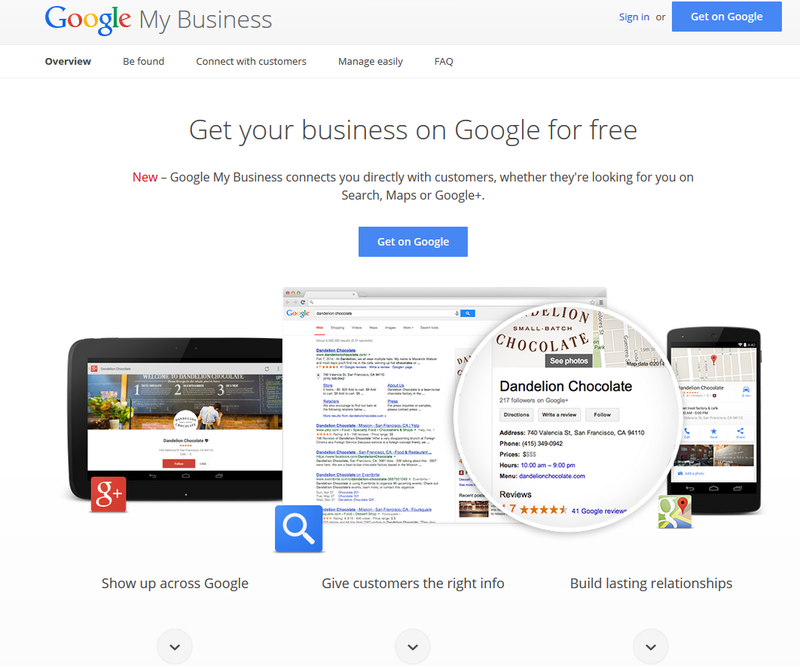 Home » Google My Business – Part 1 : What is Google My Business? Google My Business – Part 1 : What is Google My Business? With all of Google’s current business offerings, it is likely you’re beginning to wonder which tool to use, and why you should use it. The new Google My Business simplifies all of this by taking all of their business tools and putting them into one, neatly organized package that makes it easy for anybody to get the most exposure for their business on Google. 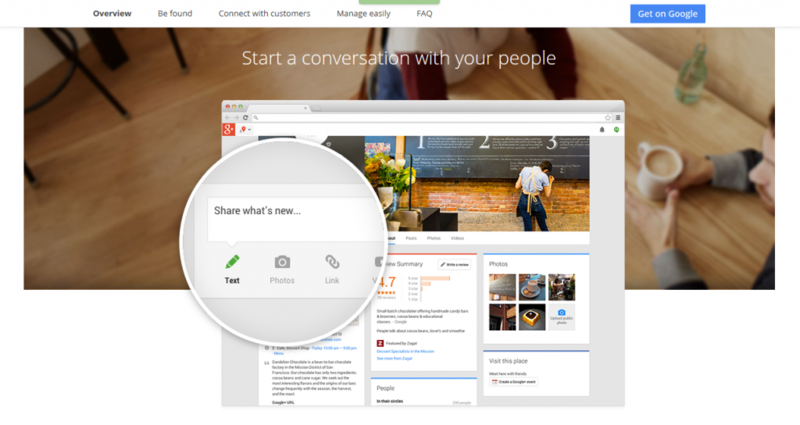 Getting started with Google’s new tool couldn’t be simpler. Just navigate your way to their new page and you’ll be greeted with the new entry point for businesses. Here, Google lays out the immediate benefits of using the new My Business platform. Firstly, this new tool puts your business directly into the search results as well as maps and Google+ so that your customers can easily find you, regardless if they are on their phone, tablet, laptop or home computer. 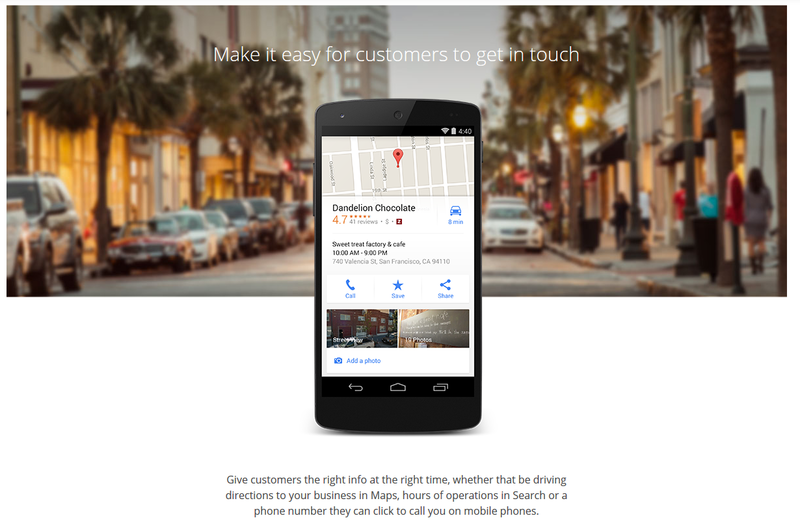 The second greatest impact of Google My Business is that it allows your customers to easily get in touch with you. If you take advantage of all the features it allows your clients to see that you’re the right choice from by giving them easy access to your store hours, phone number, address and even reviews that other Google users have left for you. 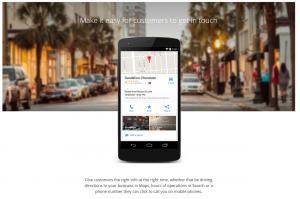 Lastly, Google makes it easier than ever for you to keep connected and stay in touch with your customers. Google has made it easier than ever for customers to leave you ratings and reviews for thousands of others to see as well as +1 your content on your Google+ page (which is now automatically integrated with your Google profile thanks to the new Google My Business), allowing them to re-share your content across the internet. We Know what Google My Business is All About. Why Should We Use It? What is happening here is that Google is making it easier than ever to use their tools and get your brand the recognition it needs to be successful online. They have incorporated all of their great tools into one, streamlined package that allows you to make changes, publish content and keep in touch with your clients all from one spot. This means you have more time to focus in on your company instead of messing around with setting up your business details for countless hours. Now What? How Do I Get Started? Ready to get started, but don’t know where to start? I’ve put together a detailed, multi-article guide exclusively for Tech Function that walks you through step-by-step on not only how to get your new Google My Business page set up but also how to take full advantage of the tool to ensure you have the most reach possible. When you’re ready, Part 2 is waiting for you. See you there!